After doing this you will have no longer access to your account because it will be deleted permanently. 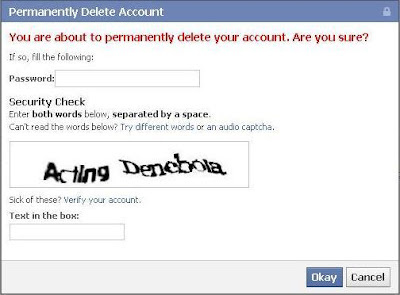 But if you just want to deactivate it for certain days just goto account setting and click on deactivate account. And just you can signin when you want to access your account. Copyright © www.keshavgyawali.com.np. Picture Window theme. Powered by Blogger.